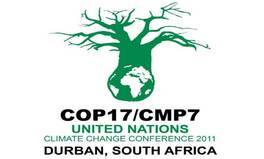 There was no material progress on addressing emissions from international aviation and maritime transport at the United Nations Climate Change Conference COP 17 / CMP 7 at Durban. The Parties only agreed to continued consideration of issues related to these emissions, and there was no direct reference to innovative financing arising from international transport (but compromise options were proposed ...). At the same time, arguably, significant progress was made in Durban through the agreement to negotiate a global deal applicable to all countries! RM Presentation (0.8MB) | RM Outline and keys (2-pager) (0.3MB). The debate and discussions that followed, contributed to negotiations of relevant text options for the Durban conference in Nov/Dec 2011 (see the conclusion slide). Event flyer & RM keys | Optimal Rebate Key Study (0.6MB) | RM Presentation (0.7MB) | RM Outline and keys (2-pager) (0.3MB). For recent discussions at the IMO see: GHG-WG 3 summary. 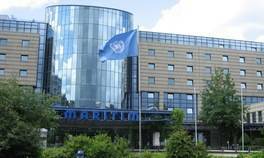 Some progress on reducing greenhouse gas (GHG) emissions from ships was made at the IMO Intersessional Meeting of the GHG Working Group (GHG-WG3). The concept of "no net incidence" through a Rebate Mechanism (RM) (0.5MB) generated a considerable interest. An optimal rebate key (0.2MB) was proposed, with values for all countries. 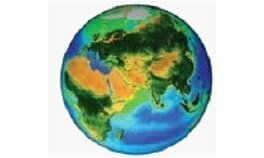 A systematic analysis submitted , favoured a global application with a RM to ensure no net incidence on developing countries and with revenue used for climate change action. There was no outcome/decision relating to international aviation and maritime transport at COP16/CMP6 Conference at Cancun (see Cancun Agreements: AWG-LCA and AWG-KP ). The report of the High-Level Advisory Group on Climate Change Financing (AGF Report (1 MB)) was noted and the proposal for a separate financing review was removed (see AWG-LCA ). We held an official side event on our proposal for the Rebate Mechanism; Presentation (0.4 MB) and documents are available. The High-level Advisory Group on Climate Change Financing (AGF) has published its AGF report (0.3MB), as well as eight working papers, including on International Transport (0.7MB). Our Rebate Mechanism is described as a way to compensate cost burden (incidence) on developing countries from carbon price on international transport. Further progress on reducing greenhouse gas (GHG) emissions from ships was made at the IMO MEPC 61 session. MEPC received a comprehensive 300+ page report (2.5MB) and presentation (2MB) from the Expert Group on Market-based Measures (MBM-EG). The group studied the various MBM proposals, including the Rebate Mechanism (RM) . Further details on RM were submitted, based on our work. 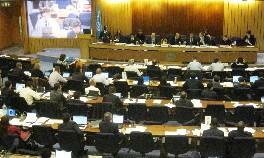 Some progress on addressing greenhouse gas (GHG) emissions from ships was made at the IMO MEPC 60 session. 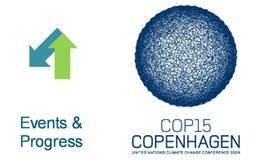 IUCN submitted a proposal for an innovative rebate mechanism, based on our work. 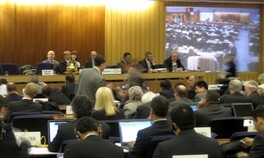 The proposal (MEPC 60/4/55) , which aims to reconcile the principles of the UNFCCC and IMO, was welcomed but not debated. MEPC agreed to establish an Expert Group on Market Based Measures (MBM-EG) to study it, among other proposals. 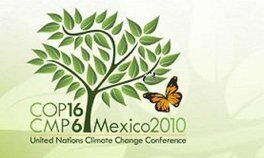 The United Nations Climate Change Conference 2009 (COP 15) did not succeed in addressing emissions from international aviation and maritime transport. 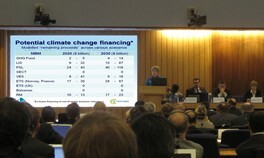 To contribute to the ongoing negotiations the proposal for Innovative Financing and IMERS was clarified and debated at the official COP15 side event, 9 Dec, 2009, Bella Center, Copenhagen. Presentation is available (0.4 MB). 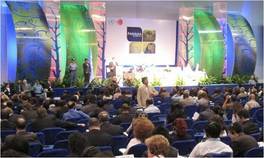 The latest version of IMERS was well received by many delegations at the UNFCCC climate change negotiations (28 Sept - 09 Oct, 2009). Three weeks later it was disclosed publicly in Singapore (0.4 MB). Our proposal has also been included in recommendations for negotiators distributed in Bangkok. 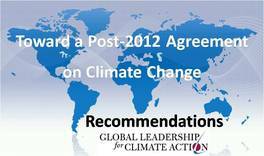 The recommendations came from a task force comprising former heads of state, leaders from government, business and civil society in a report Toward a Post-2012 Agreement on Climate Change: Recommendations (1 MB).